The Movidius™ Neural Compute Stick is a new device for developing and deploying deep learning algorithms at the edge. 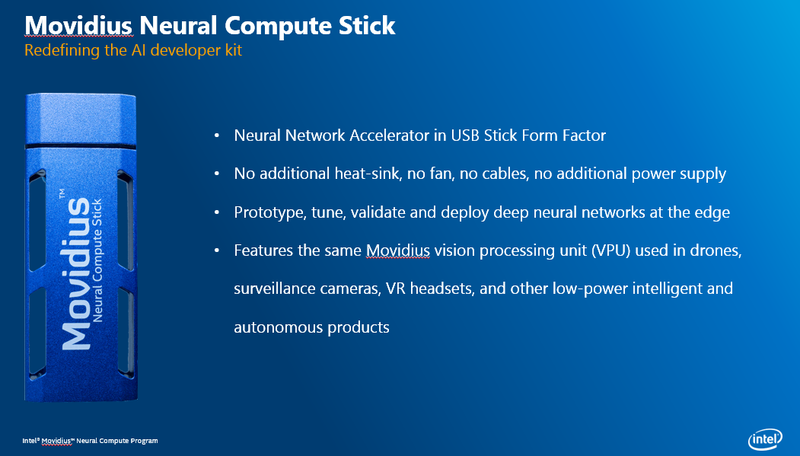 Movidius created the Neural Compute Stick (NCS) to make deep learning application development on specialized hardware even more widely available. The USB form factor easily attaches to existing hosts and prototyping platforms, while the VPU inside provides machine learning on a low-power deep learning inference engine. You start using the NCS with trained Caffe framework-based feed-forward Convolutional Neural Network (CNN), or you can choose one of our example pre-trained networks. Then, by using our Toolkit, you can profile the neural network, then compile a tuned version ready for embedded deployment using our Neural Compute Platform API. 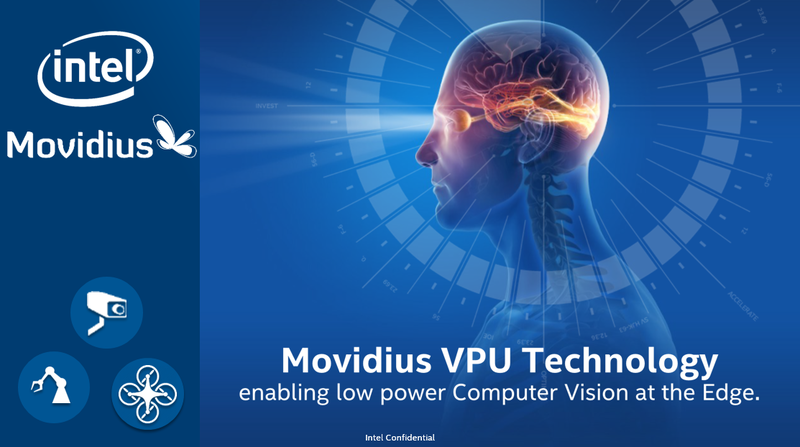 At the Intel Movidius team, we’re inspired by the incredible sophistication of the human brain’s visual system, and I’d like to think we’re getting a little closer to matching its capabilities with our new Neural Compute Stick. 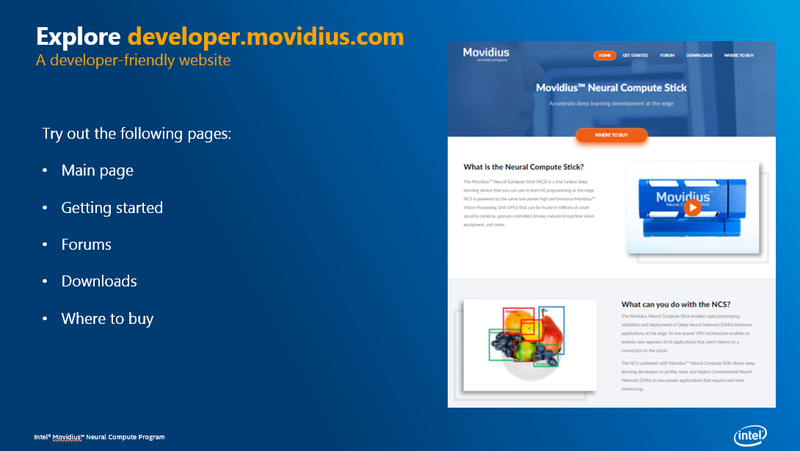 To get started, you can visit developer.movidius.com for more info – let us know what you think by dropping feedback on the @movidius channel. 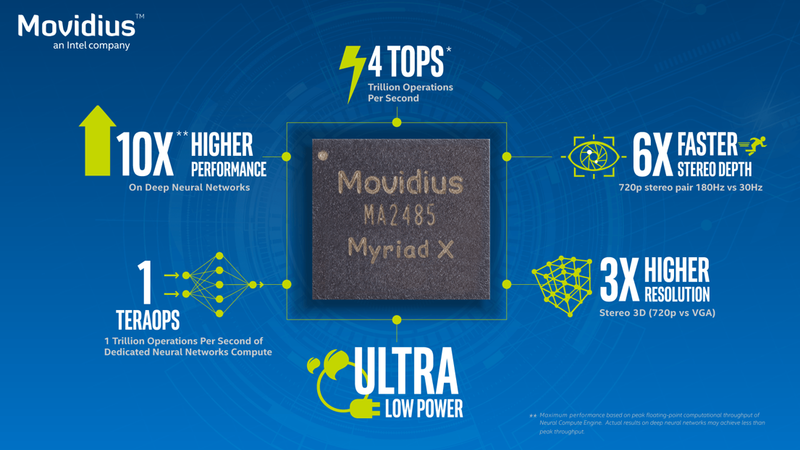 The Movidius Neural Compute Toolkit takes offline deep learning inference applications deployment to places never gone before.